Hotel Angel, situated at the heart of the Tirupur city is a perfect relaxing destination for tourists visiting the banian city. 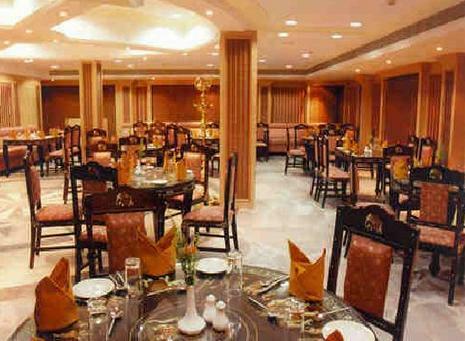 Luxurious ambiance brilliantly wrapped in a traditional plush makes customers feel at home. The hotel, just 45km away from the airport, showcases elegance in its looks as well as services offered. The prominent and inspiring design, exotic architecture, a sun-lit foyer, spacious portico, airy corridors and cosy rooms make the stay in the Hotel angel an ever memorable one. Restaurant, Business Facilities, Catering, ATM/Banking, Parking, Bar, Backup Generator, Swimming Pool, Doorman, Security Guard. Desk, Air Conditioning Room, Shower Caps, Slippers, Electronic/Magnetic Keys, Television Room, Toothbrush/Razor on Request, Attached Bathroom, House Keeping, Minibar. ATM/Banking, Beauty Services, Breakfast Services, Business Facilities, Conference Hall, Doctor on Call, Laundry Facilities, Parking, Restaurant, Room Service, Secretarial Services, Bar. User reviews for "Angel Hotel Coimbatore"